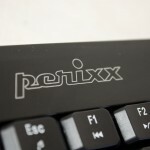 When it comes to choosing some new peripherals, there are lots of things that need to be considered. 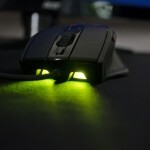 Specifically, when looking into new gaming mice, you will want to know what type of grip you have. 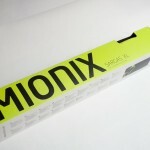 The 3 main types are palm, claw and fingertip and a lot of companies design their mice around these types of grips. Personally, I am more of a fingertip grip and as the name suggests, I pretty much only hold my mouse with the tips of my fingers. If you want to find out what type of grip you are, I suggest heading over to Uncle Google and having a little search around as there are plenty of infographics available to help you determine this. 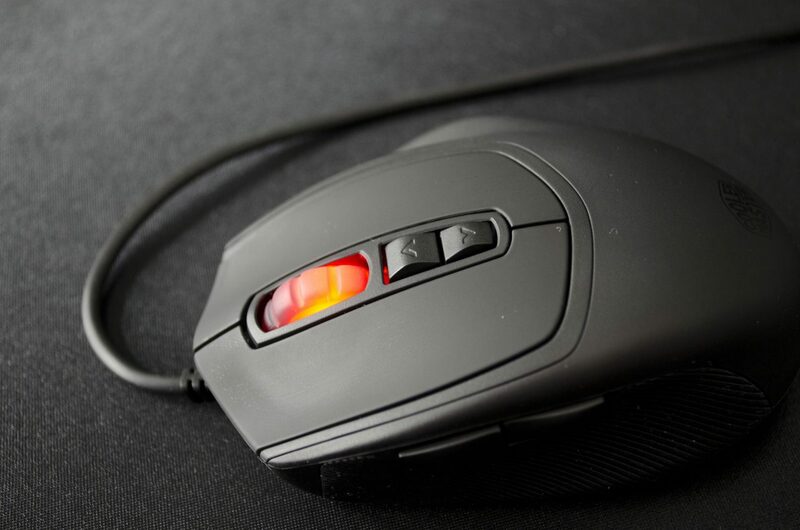 Keeping the peripheral review train here at Enos Check chugging along, today we bring you a closer look and review on the CM Storm Xornet II Gaming Mouse. 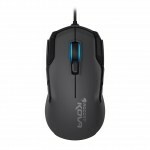 This is a budget orientated gaming mouse that is designed for those with a claw grip and it features Omron Switches and an Avago sensor for precise tracking. The Xornet II is quite small and has a unique shape to it as it is also designed to be ergonomic. One of the main upgrades over its predecessor is the addition of RGB LEDs which seem to be a big thing happening at the moment. 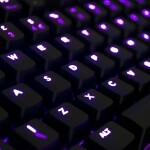 Seems like a lot of companies are throwing RGB LEDs at their products in an effort to make them more appealing and while I love me some LEDs, I can appreciate that they are not for everyone. 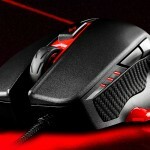 As mentioned, the CM Storm Xornet II features an ergonomic claw grip design and as such is rather small. 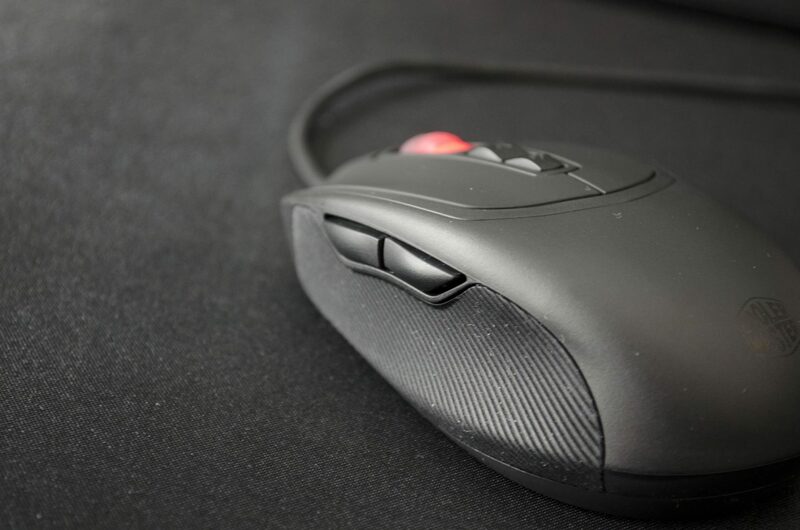 Being ergonomic, the mouse has a bit of extra space on the right-hand side to rest your fingers which really is quite comfortable when using it. If you are a palm grip user, you will definitely want to stay away from the Xornet II unfortunately as it really is not designed for you. 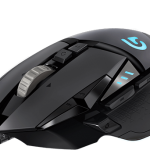 The mouse features an overall rubberized feel to it and the sides are actually a bit more rugged to allow for a better grip and control. There is a total of 7 buttons on the Xornet II. 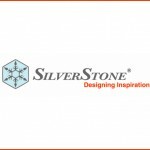 You have the standard Mouse 1-3 buttons which are the left/right click and scroll wheel click. 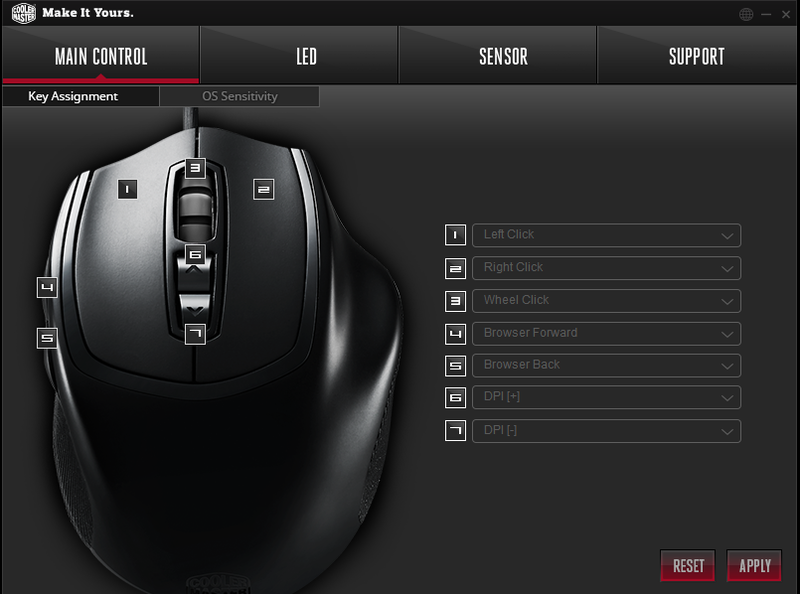 Buttons 4-5 are placed by where your thumb will be when using the mouse and are normally used for forward/backward buttons and buttons 6-7 are just below the mouse wheel and are designated to control your DPI on the fly, which you can configure through the software available for the Xornet II. 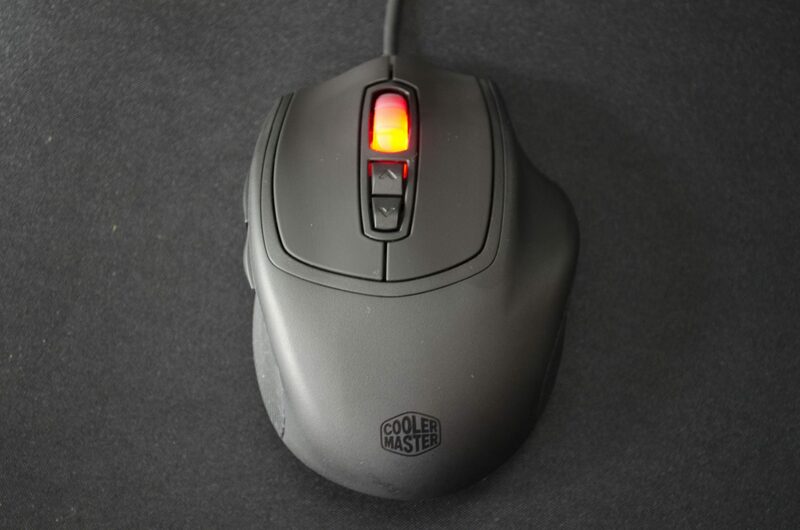 While this mouse is on the cheaper side of the scale when it comes to gaming based peripherals, Cooler Master have not cheaped out on the build quality as it still features Omron switches for the left/right mouse buttons which have a lifespan of 5million clicks. 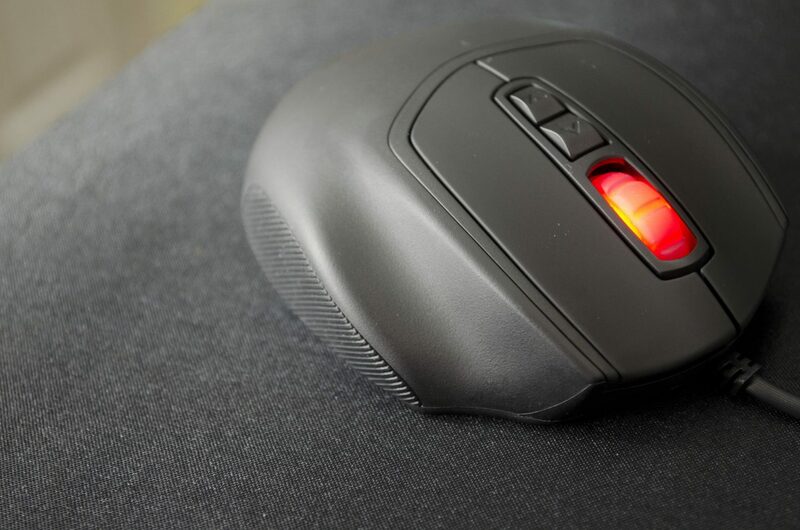 The Xornet II also comes with an Avago 3320 optical sensor which offers amazing precision when tracking across your mouse mat. The Avago 3320 can be set to a range of different DPI’s from 500 all the way up to 3500 so whether you are sniping, or running and gunning, there is a DPI for your needs. One of the biggest upgrades was the RGB LEDs that have been added to the scroll wheel. This is easily set up VIA the downloaded software for the Xornet II and while it doesn’t affect the performance, it is a nice little feature to have. As mentioned, there is a nice little bit of software you can download that will allow you to customize some of the settings of your Xornet II to your individual needs. 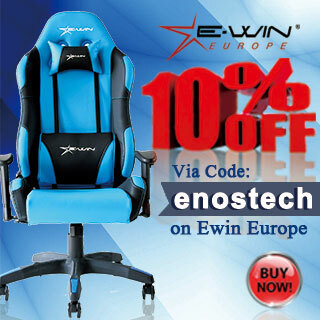 Simply head over the product page on the CM Gaming website CLICK HERE and click on the downloads tab to find it. 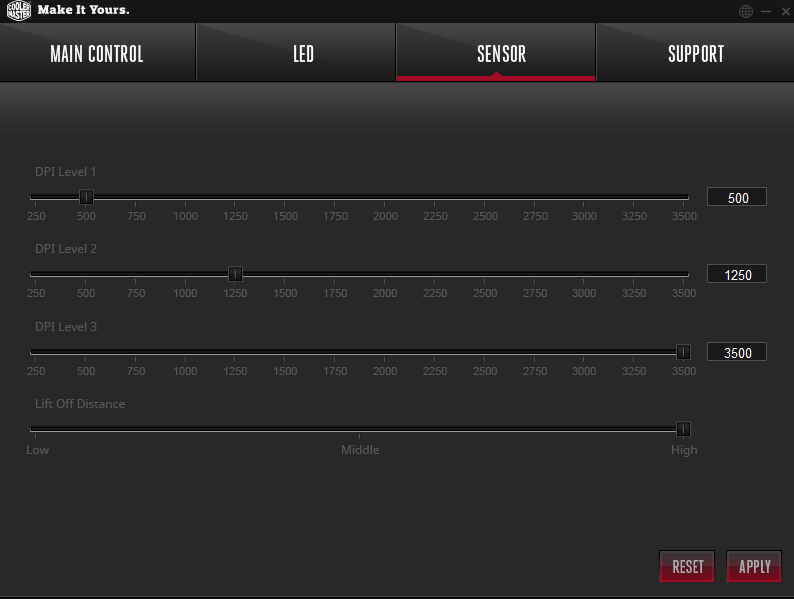 Once installed, the software will allow you to change LED colours, which you can also set up by the DPI you have chose. 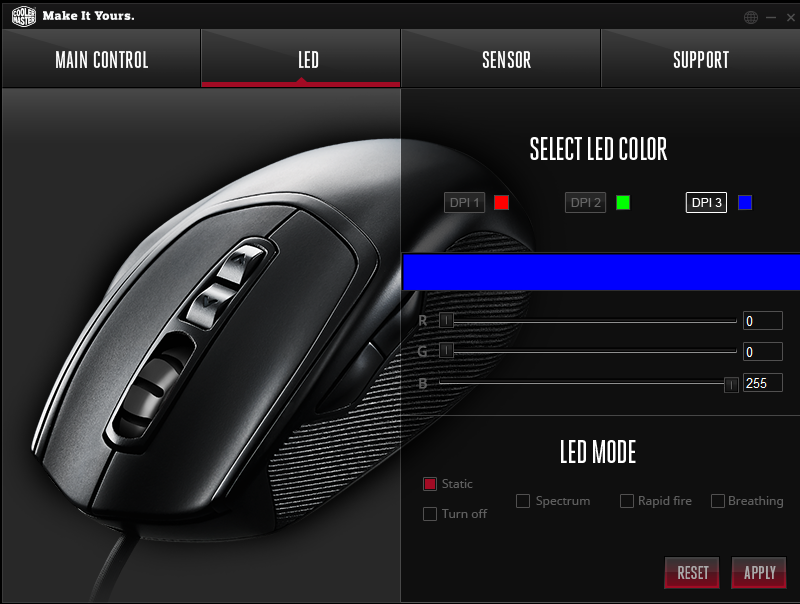 There are also a few different modes for the LEDs to choose from if you don’t like the static mode, or, you can even just turn them off. Through the software, you can also set up the buttons binds if you are not happy with the pre-set ones and you can manage the Avago 3320 sensor. Going to the sensor tab will let you set the DPI for the 3 different zones and also allows you to configure the lift of distance of the mouse which is sure to come in handy for loads of users. 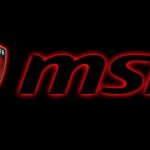 I spent a good amount of time with the CM Storm Xornet and for what it’s worth, it’s a decent little mouse. When you consider the price of it, it’s hard to go wrong with it as long as you do not have a palm grip. This is one of the areas I feel the Xornet II shines the most. 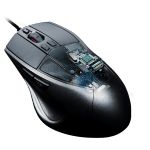 The Avago 3320 sensor is a great addition to this mouse and allows for great control in-game. Throughout all my testing, I didn’t recall one incident of the mouse being unresponsive or tweaking out, everything was smooth and precise. Another great addition was the Omron switches and while they work great, there was a bit of s squeak to them that did get annoying at times. A little bit of WD40 did take care of this but this isn’t really something you would expect from a brand new mouse to already be squeaking after a few days. However, this didn’t affect the performance of the buttons at all and all clicks were registered as they should be. This is a bit tricky. 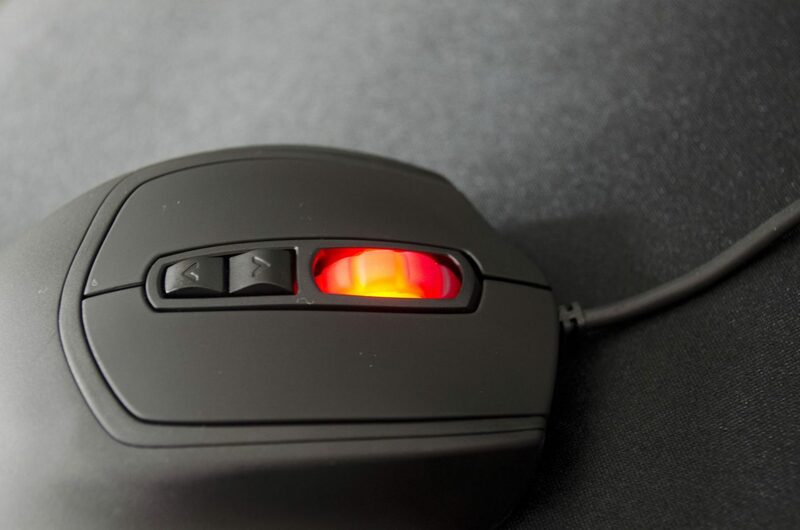 This mouse isn’t designed for everyone, but should it lose some points because of this? Well, I will say no, I don’t think it should. 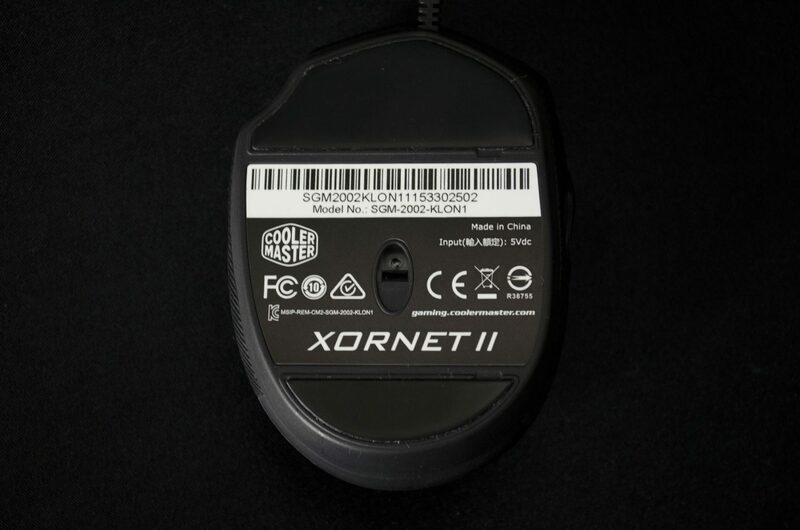 The Xornet II is designed for claw grippers and is very well thought out for them. The ergonomic feel to it is also a nice touch as it is definitely great to have somewhere to rest you pinky and ring fingers on the side. 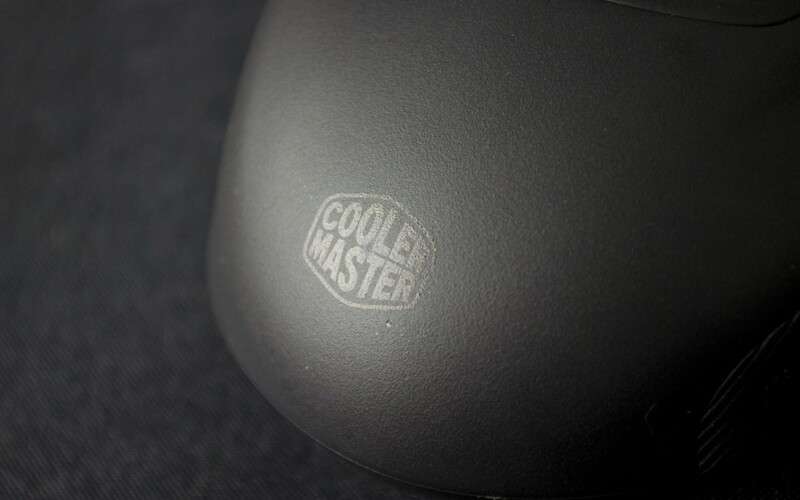 Cooler Master also did a great job of designing it from an engineering standpoint as it built from some great components and won’t break the bank, job well done! This is the icing on the cake if you ask me. 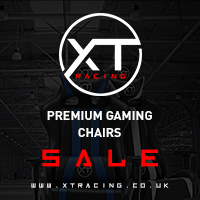 The Xornett II is very competitively priced, especially here in the UK, coming in at around £20. 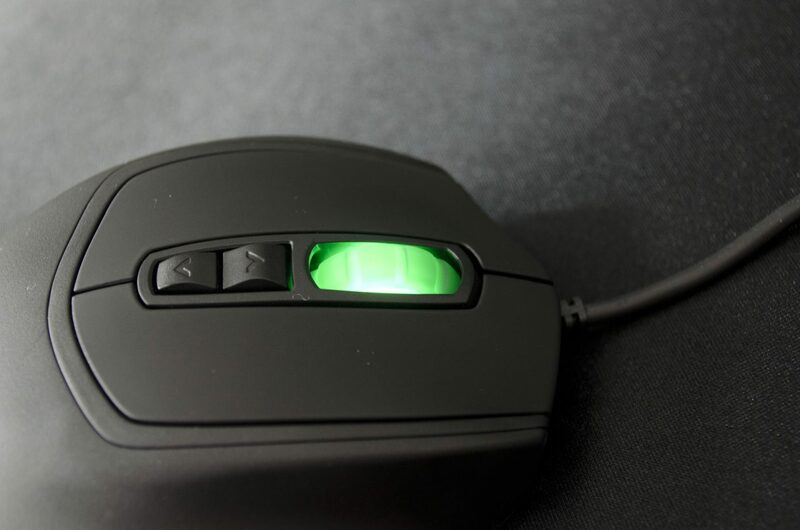 For the money, you are getting a mouse with a great Avago sensor that is ergonomic and has some nice RGB LEDs in the scroll wheel. 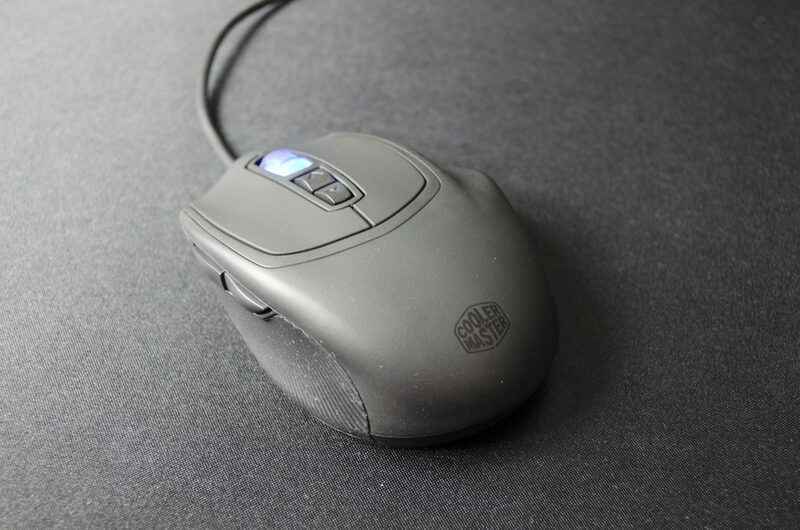 While there is nothing that will really make this mouse stand out from the rest, it is a very solid offering and if it’s in your price range and you have a claw grip, it is well worth a look. 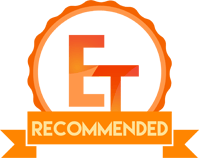 I would like to thank Cooler Master for sending in their Xornet II for today’s review.